This is a really great quick and easy recipe that looks really impressive with seriously minimal effort. 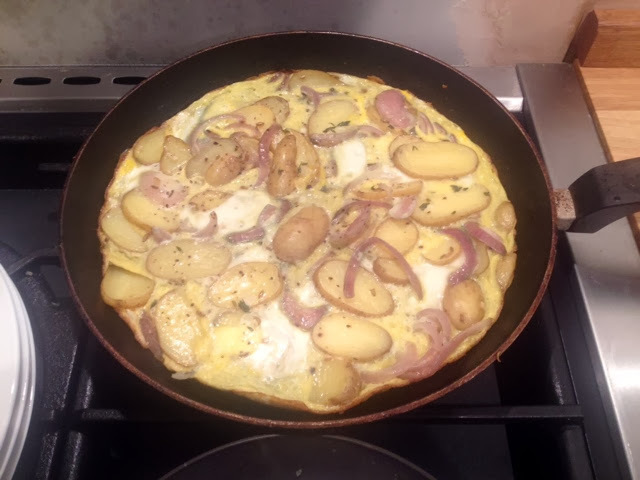 I’ve served up this dish with my Spanish Tortilla, but if you want to make it even quicker and easier boil some new potatoes and serve with a bit of butter melted onto them. 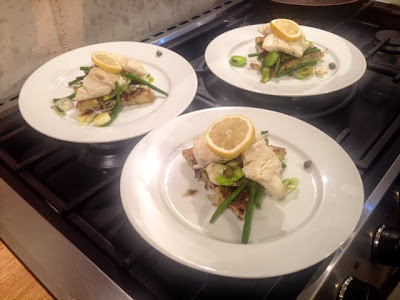 This will make a great dinner party dish, or would be a great one to impress a date with. 1. 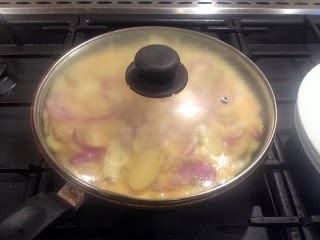 Follow the recipe for my Herby Spanish Tortilla and when this is covered and cooking away you can get on with the cod and beans while it’s cooking. 2. 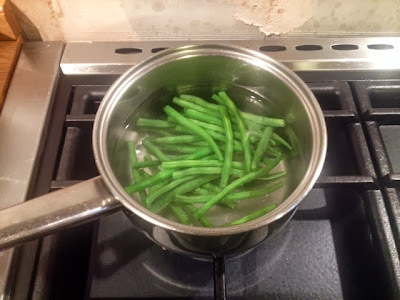 Put the green beans on to boil in a small pan for about 10 minutes until softened but still with a bite. 3. Drain the beans and begin to melt the butter in a frying pan on a low heat. 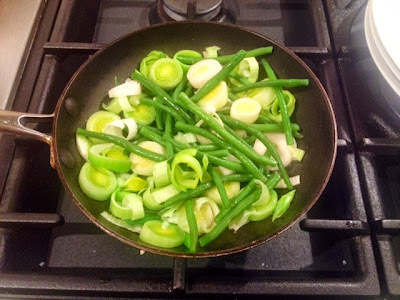 Add the beans, leeks and garlic. Fry gently until leeks are softened. 4. 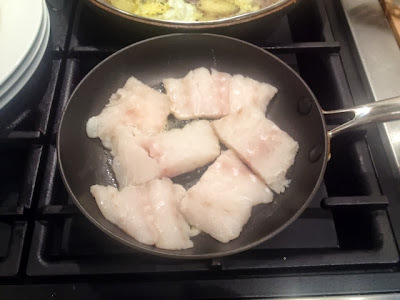 Meanwhile in a large frying pan on a medium to high, heat a little oil and gently place the cod fillet pieces in. Halve the lemon and squeeze in the juice from one half. Keep the other half for serving. 5. Fry for 2-3 minutes on each side or until cooked through. Half way through add the capers. 6. 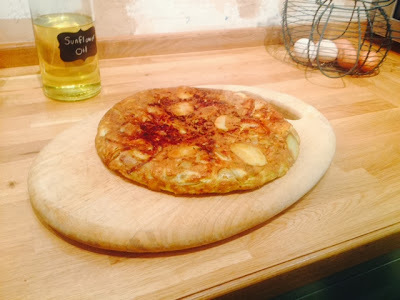 When the tortilla is ready, uncover and turn out onto a board. 7. Cut tortilla into wedges. 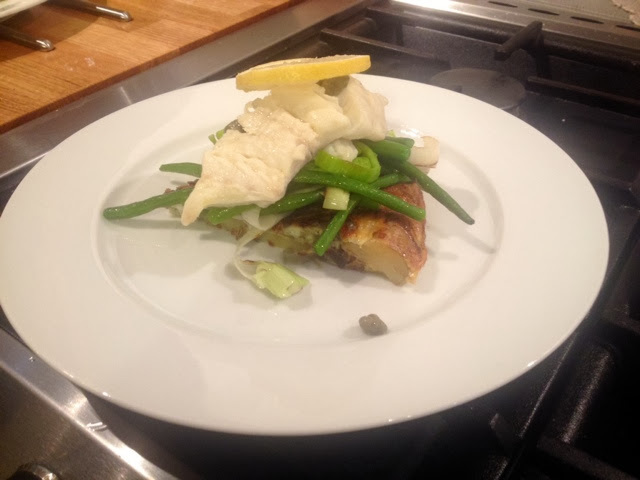 Plate up a wedge, top with a portion of the buttery green beans and leeks. 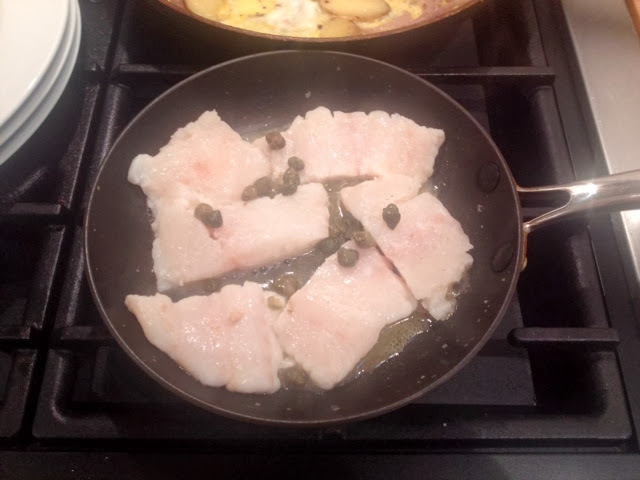 Place the fish on top and garnish with a slice of lemon.